The AAU and Westat first collaborated on the Survey on Sexual Assault and Misconduct — which looks at students’ experiences with sexual harassment on college campuses — in 2015. Harvard participated in the inaugural survey, and its results have heavily influenced Harvard’s approach to combating sexual misconduct. This year marks the second sexual misconduct survey collaboration between the AAU and Westat, with 33 institutions including Harvard participating. The discrimination allegations against Westat date back to 2009, when the Office of Federal Contract Compliance Programs conducted a routine audit of Westat’s employment policies, practices, and record keeping. The OFCCP found statistically significant hiring disparities for race and gender. In 2014, Westat and the OFCCP entered a conciliation agreement to resolve the violation. In the settlement, Westat paid $1.5 million in back wages and interest to 3,651 affected applicants. The firm also agreed to make 113 job offers to the original people impacted by the former hiring practices as positions became available. Westat Senior Study Director Susan Chibnall — the project director for both the 2015 and 2019 AAU surveys — wrote in an email to The Crimson that Westat has since modified its procedures to operate in accordance with guidance from the OFCCP. “Westat is a majority female company with a strong representation of minorities. Our policies and actions are, and always have been, in conformance with Equal Employment Opportunity and our Affirmative Action Plan,” Chibnall wrote. Pedro Ribeiro, vice president for communications at the AAU, wrote in an email to The Crimson that the AAU had engaged in a “competitive open-bid process” when it selected a research firm to partner with. Ribeiro wrote that Westat’s previous successes in large-scale survey projects, its ability to deliver a lower overall cost, and its option for customized questions for each institution were all factors that led to the AAU’s selection. “We believe that the issues raised by the settlement have been resolved, including the payment of restitution,” he added. Harvard played no role in hiring Westat to administer the survey, University spokesperson Jonathan L. Swain wrote in an emailed statement. “While Harvard was not responsible for the selection of Westat as the vendor to administer the survey, it is our understanding that the matters resolved by the 2014 Department of Labor settlement predate the administration of the 2015 survey by several years,” Swain wrote. “Harvard students should have every confidence in the impact they can have through participation in the 2019 AAU survey that is currently underway,” Swain added. Swain, Chibnall, and Ribeiro all stated that Westat’s settlement with the OFCCP is a thing of the past — and they all encouraged students to take the AAU survey in 2019, citing the importance of the data collection in informing efforts to combat sexual misconduct. 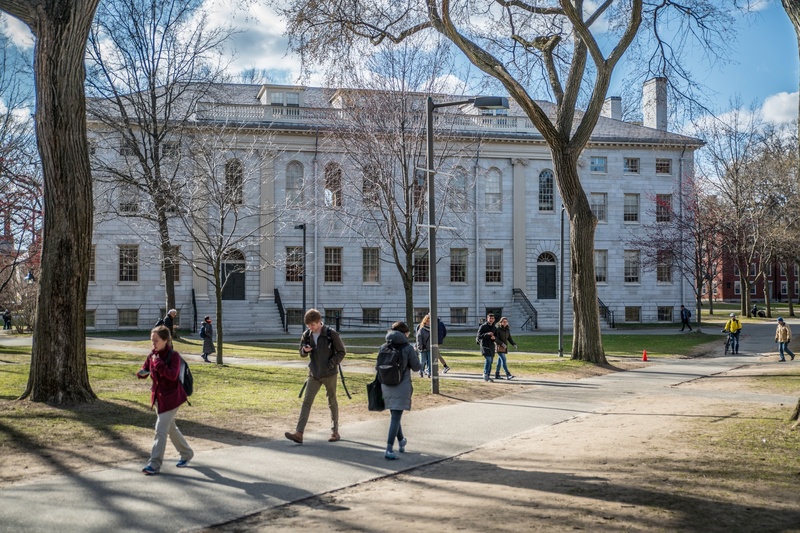 Since the 2015 AAU survey was administered, Harvard has seen several changes to its sexual harassment prevention efforts, including increased staffing within the University Title IX Office and the Office of Sexual Assault Prevention and Response; the separation of the Title IX Office and the Office for Dispute Resolution, which investigates formal Title IX complaints; and new school-specific trainings for students, faculty, and staff.